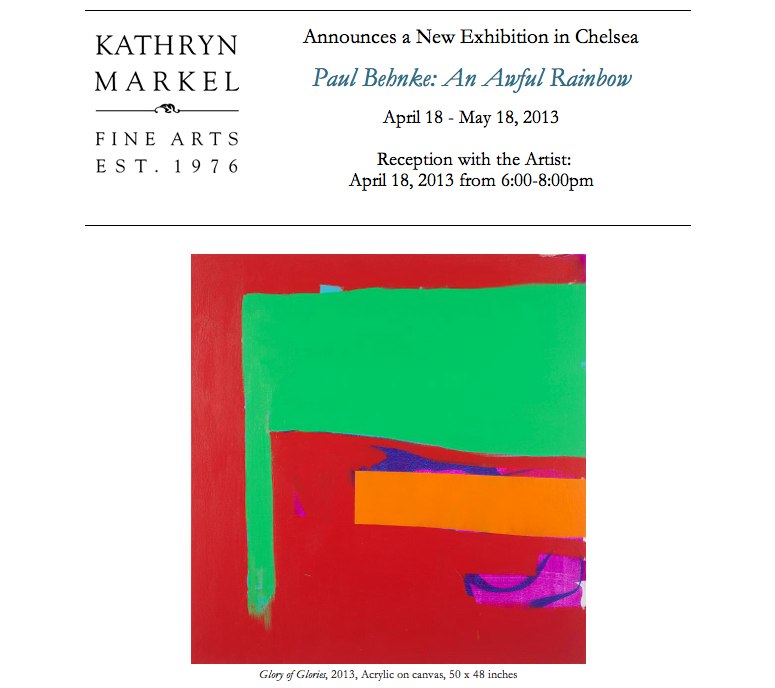 Please join me for the opening of my one person show, An Awful Rainbow, at Kathryn Markel Fine Arts. A full color catalog is available with an essay by James Panero. Read the essay here. Opening: Thursday, April 18, 6-8PM.